Transforming Controls Safety and Security – How Safe is your Asset? Home » Events » Transforming Controls Safety and Security – How Safe is your Asset? Digital transformation, functional safety and cyber security are often discussed in isolation in the process control industry. However, data, analytics and remote access, are now used to improve safety, reduce cost and increase efficiency of assets, this merges these areas and they should collectively be discussed as segments of the digital solution. This digital transformation of our industry offers opportunity and many benefits, but being more interconnected also increases the risk of a cyber threat/attack. Do you have the knowledge and expertise to reduce the risks and maximise the opportunities? Join us to share knowledge and best practice. 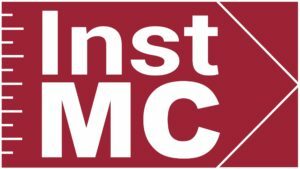 Call for Abstracts – Deadline June 2019. Download details here. How safe is your asset? This conference jointly organised by InstMC and SPE Aberdeen will provide a forum for discussing the issues with subject matter experts, leaving you with ideas to consider and workable solutions. Include real field data; case histories demonstrating added value; positive impact; lower production costs; more reserves; enhanced production. New game changing technology or innovative applications for existing technology. For more detailed explanation and two-way discussion. 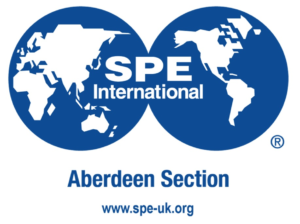 A summary of up to 200 words including title, presenter, company affiliation and the presentation type* should be sent to aberdeen.events@spe-uk.org. For any queries, call the events team on 01224 646311. *The Organising Committee reserves the right to decide which session the presentation is best suited to. Sponsorship and Exhibition Opportunities. Download full details here. All costs outlined exclusive of VAT. All sponsorship opportunities will allow your logo to be positioned across all promotional materials, including SPE website, onscreen graphics and abstracts book. Your company will also be recognised by the Conference Chair. The Conference will incorporate an industry led exhibition which will run alongside the main technical presentations. There will be ample opportunity for maximum interaction between exhibitors and delegates during the registration period, coffee breaks and lunch break. A floor plan for the exhibition will be distributed nearer the event date. Please note that exhibitors will be required to hand carry or trolley exhibits and materials to the room. No heavy lifting/forklift facilities will be available.